With the release of The Raiser's Edge 7.92.5508 Patch 9, you can submit your Gift Aid Claim directly to HMRC from The Raiser's Edge. Before you can do this, you need to set enter your HMRC Account Details into The Raiser's Edge. Authorised Official - Enter the first name, surname, post code and phone number of the person whose details were entered in the HMRC account. Charity Regulator - Number is the Charity Commission number of your charity. If required, use Google or other web search engine to access the web page of the relevant Charity Commission to identify the number. 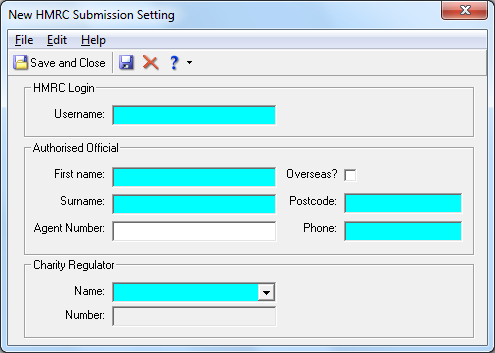 Once created, the account can be selected when using the new Submit Gift Aid Claim to HMRC feature.